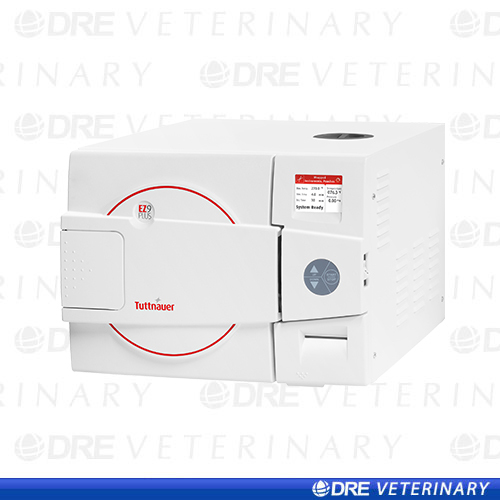 The Tuttnauer EZ9Plus is a fully automatic autoclave designed for today’s busy veterinary practice. 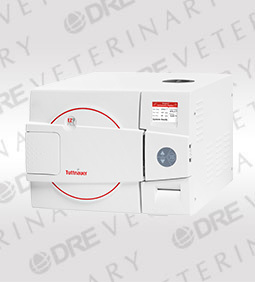 Sterilize and dry instruments quickly with the autoclave’s closed door drying and efficient air pump. The EZ9Plus features a multicolor display to show cycle information and a networking port to monitor the autoclave remotely. Use the unit’s many loading options to find the right configuration for your practice. Clear, multi-color display shows real-time cycle information. Use the display to read cycle parameters, temperature, and chamber pressure. Sleek, modern EZGlide door designed to be ergonomic for clinicians. 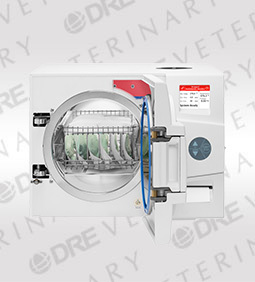 Closed door drying for sterility and efficiency. High-efficiency air pump requires 0.2µ HEPA air filter. Flexible loading options to accommodate any facility. Available with Tuttnauer pouch rack to encourage proper loading. Fill water at front or back of the autoclave. Built-in USB port for cycle data transfer. Networking capabilities for remote cycle monitoring. Designed to meet current sterilization standards.